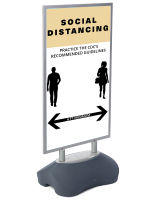 These Stylish Sign Supplies That Display Posters Combine Elegance and Practicality! 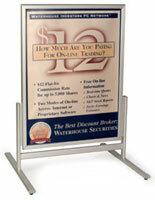 Our Fast-Ship Warehouse Has This and Many More Sign Supplies In Stock Today, So Order Now! 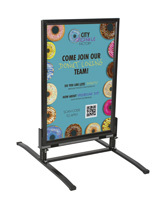 With simple open and close clip displays and non-glare lenses securing your images, these sleek sign supplies for indoor or outdoor use assist in keeping your signs up to date. These elite caliber sign supplies utilized as foyer signage, sidewalk signs, or film sign holders tend to be guaranteed to add elegance to your sales setting at a discount cost. These sign supplies make for extremely impressive pavement signs. 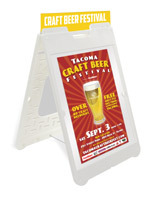 These sign supplies, sign holders exhibit images up to 23-3/8" x 33-1/16". These sign supplies make extremely appealing poster frames. 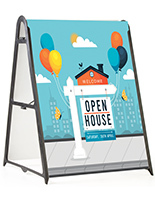 With attractive satin metal picture holders, these sign supplies replace heavier sign supplies as well as "A" frame sign supplies, foyer signage, and sandwich boards. The picture holders can be observed from two sides. 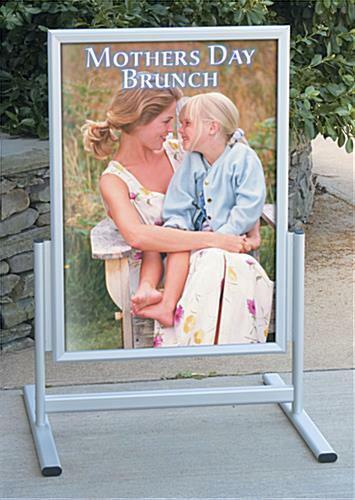 These sign supplies like menu boards and pavement signs are excellent enticements for spur of the moment sales. 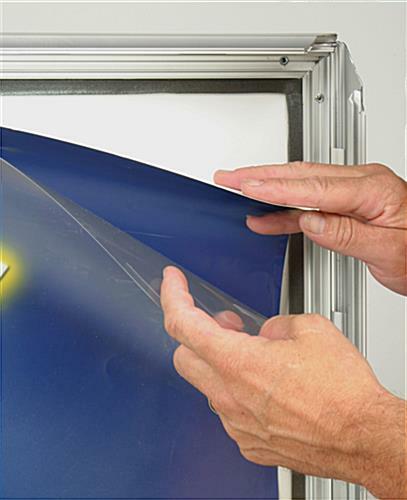 These versatile sign supplies for mounting signage have rounded corners, clip frame technology, and a satin finish. With beautiful styling and sturdy composition these sign supplies are a sure bet to grab your client's eye. 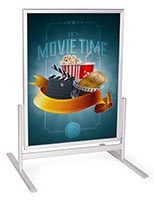 Double sided with clip displays, these sign supplies are like sharp searching "A" frame sign supplies or menu boards drawing clientele into your business facility. Click here for simple assembly instructions. Poster Size: 23" x 33"
Viewable Image Area: 22" x 32"
Please Note: Item is not intended for use in inclement weather, including high winds, rainstorms, and snow storms.